Yass Sale claimed a success. 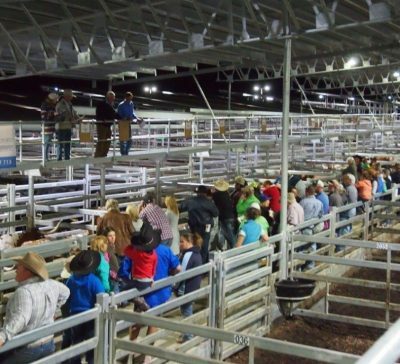 – Texas Longhorns Australia Inc.
You are here: Home / Previous Shows & Sales / Yass Sale claimed a success. Yass Sale claimed a success. Great news the TLA Yass sale saw a majority of the cattle sold, there were happy vendors and happy buyers galore. The cows topped at $3,400 with Southern Cross Linda being sold to Greg & Yvonne Culell from Halls Gap Victoria. Don Collins from Crows Nest QLD purchased some very handy cattle including Valhalla Abbey a T4 cow and Southern Cross Congo the top priced Bull. A huge thank you to Don Constable and Justin Dunn for all the organisation and preparation of the sale. http://www.texaslonghornsaustralia.com.au/wp-content/uploads/2017/01/Logo_340px.png 0 0 John and Megan Hoare http://www.texaslonghornsaustralia.com.au/wp-content/uploads/2017/01/Logo_340px.png John and Megan Hoare2017-04-06 12:09:132017-05-31 11:25:04Yass Sale claimed a success.